It has been a big year for University of Texas MD Anderson Cancer Center researcher Dr. James Allison and, by extension, the study of cancer immunotherapy treatments, of which he is one of the world’s preeminent authorities. The awards for Dr. Allison’s research have come at such a clip that it’s difficult to keep track. Just a couple of weeks ago, BioNews Texas reported on how Dr. allison had received the prestigious Breakthrough Prize in Life Sciences For his T-Cell research and advancements — one in a long string of 2013 awards coming from the likes of The Economist, the Institute of Medicine (IOM) of the National Academies, the Novartis Prize for Immunology. Now, Science — the gold standard for covering science and research news throughout the world — has named Dr. Allison’s field of cancer immunotherapy as its 2013 Breakthrough of the Year. As the chair of Immunology at The University of Texas MD Anderson Cancer Center and executive director of its Moon Shots Program immunotherapy platform, Dr. Allison has made the study of cancer immunotherapy his own, and sees it as the obvious next generation of treating cancer, compared to current traditional methods, such as chemotherapy and radiation. For their part, Science agrees. In their announcement, they note that: “Immunotherapy marks an entirely different way of treating cancer—by targeting the immune system, not the tumor itself. Oncologists, a grounded-in-reality bunch, say a corner has been turned and we won’t be going back,” the Science story noted, going on to conflate Dr. Allison’s groundbreaking research with the rise of cancer immunotherapy as the next viable treatment approach for cancer. 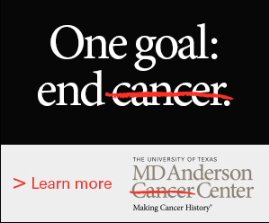 “His leadership continues to advance this exciting treatment and underpins the comprehensive efforts of MD Anderson’s Moon Shots Program to dramatically reduce cancer deaths,” DePinho added. The immunotherapy platform has enhanced and increased the institution’s capabilities in expertise, technology and techniques since Allison’s arrival in November of 2012. To wit, the BioNews Texas editorial department has covered a wide range of cancer research stories out of Texas in 2013 that focus on the leveraging of the body’s immune system to fight disease, rather than relying on a drug or agent to the work — which often results in side-effects and unintended consequences. Of course, the driving principles behind cancer immunotherapy are not new. In fact, the approach has been slowly developing for decades now, seeking to sharpen and supercharge the body’s immune system to kill only cancer cells, as opposed to treatments like chemotherapy and radiation, which indiscriminately kill off cancerous and noncancerous cells as part of the therapy process, leading to neutropenia and other complications that often result in more harm and even death to the patient. To this point, the “cancer vaccines” associated with immunotherapy have been only marginally successful, since tumor defenses have only results in minimal impact on the cancer cells. Of course, the recognition of cancer immunotherapy as the next generation of cancer treatment is not an arrival point for the field, but rather a departure — it is only the beginning of a still-long journey toward making this form of treatment viable enough that it could finally put to rest the use of traditional cancer-fighting methods. Considering, however, the monumental advancements discovered this year by Dr. Allison and others, it is encouraging to imagine where we might be with this treatment technology a year from now. “Science’s choice of immunotherapy recognizes what this field is accomplishing right now and the prospect of deeper and broader application against many types of cancer to come,” Allison said.